Japanese sake party in April! 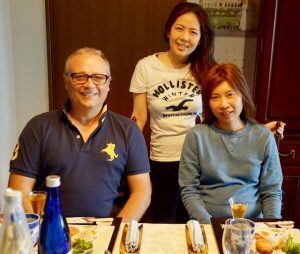 I had a Japanese Sake and my homemade dish lunch party. There were three guests that joined this time. 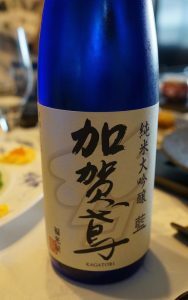 One of my guests from Singapole just traveled around western Japan and brought a famous sake (Kagatobi ) from Kanazawa in Ishikawa prefecture. I tried to arrange the food using seasonal vegetables like Takenoko (Banboo shoot), Shin-tamanegi (New onion), and Shin-jagaimo (New potato). 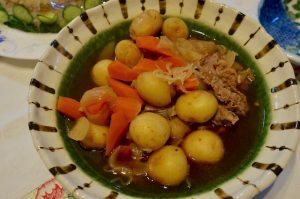 Nikujaga is a dish of simmered meat and potatoes. I cooked New potatoes and New onions with beef this time. I just came back from Okinawa and got some ingredients. 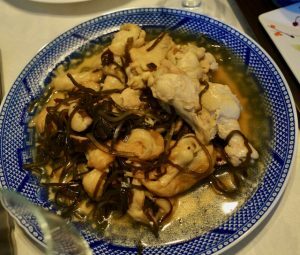 I arranged a regional food in Okinawa, “Kubu Irichi (Sauteed sliced kelp)”. 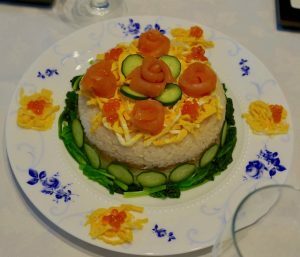 I enjoyed cooking for my guests and had a wonderful time talking with them. 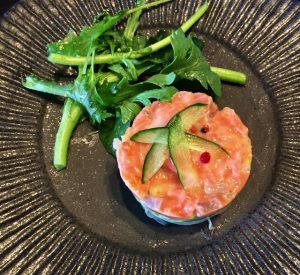 I also write a cooking blog here!